We Have a Full Service Aircraft Restoration Shop for All Your Needs! 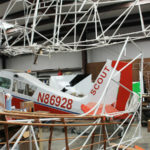 Peter Prince Aviation Center also offers aircraft restoration at our 5000 sq. ft facility just off the Milton Airport. 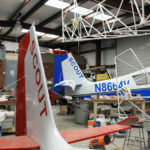 We specialize in vintage fabric-covered aircraft, currently restoring Scouts, Citabrias, Decathlons and Champions. 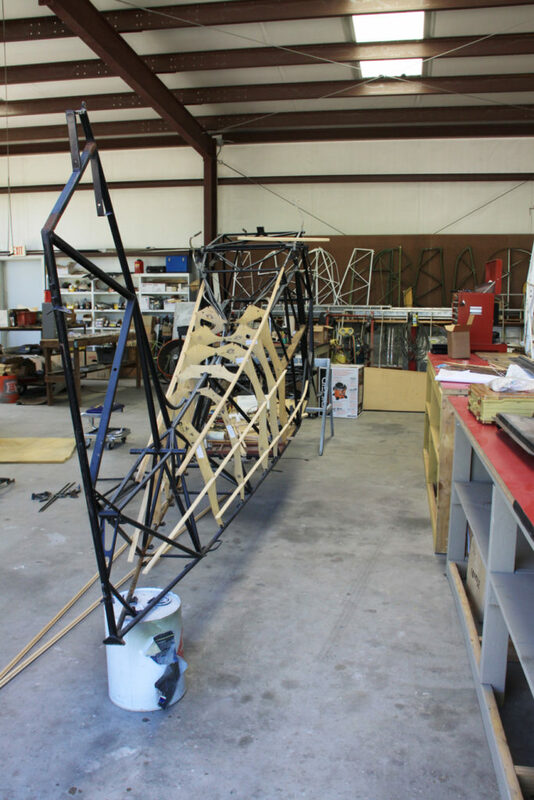 A typical restoration starts with a full strip-down, tear-down and sand-blasting of the airframe. 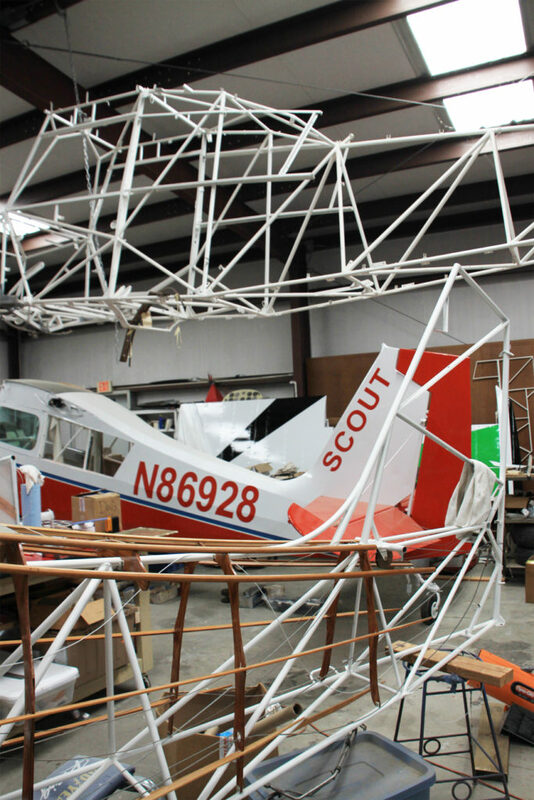 The airplane is carefully inspected to ensure airframe integrity, and fully repaired as required. The instrument panel is also totally re-built to match the original panel. 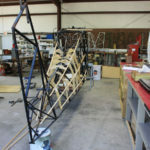 Flight controls and flight surfaces are re-built, and the airframe is then covered using a synthetic material (Stits). Finally, the aircraft is re-assembled and re-painted, culminating with a series of acceptance flights prior to turning the aircraft over to its owner. 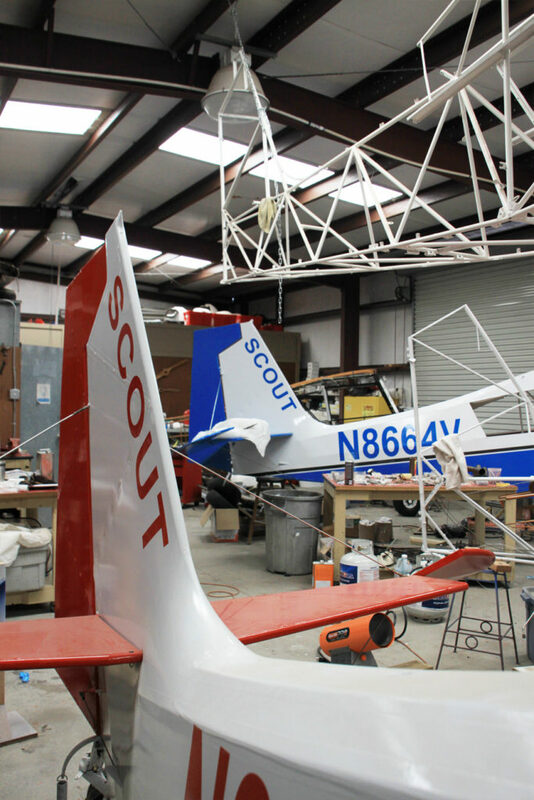 Our paint booth on the premises can accommodate most vintage aircraft, shown here is one of our Scout airframes being re-painted, after having been covered with a long-lasting, synthetic material. We can rebuild your aircraft from the ground up, or simply re-cover and re-paint your aircraft, per your specification!